"Is it common for a child with autism (high functioning) to quickly and easily get upset about little things throughout the day? The least little thing will set my son off." Children with High-Functioning Autism (HFA) and Asperger's often suffer from different types of stress compared to other kids. Stressors can be as diverse as school issues to the texture of their clothing! These young people often suffer from so many obsessive thoughts that they are stressed out by things such as noise, smell, certain textures, things out of place, and disorder in general. These "special needs" kids are perceived to be quite intolerant of others as well as the environment. They often become very anxious in unstructured settings and in situations where people are moving at random. They may not be able to tolerate people standing close to them. Whether it is sudden or it comes from general background activity, noise can cause acute stress, fear and even panic and, at the very least, the youngster may be distracted and unable to concentrate. 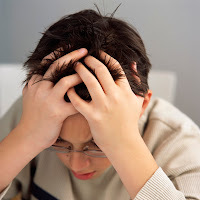 Each child on the autism spectrum will have his issues that stress him out. When they are younger, this kind of stress can lead to tantrums. Older kids can have anger outbursts or other evidence of distress when things aren’t going their way. They may swear or act-out in inappropriate ways to cope with their environment. Sometimes a parent or sibling just needs to give in to the idiosyncrasies of the HFA child. They may need to keep the noise down or keep things in a specific order. Moms and dads may have to respect their youngster’s need for certain clothing textures or food preferences. Lack of sleep can lead to stress in a child on the spectrum. Sleep disorders are very common. Medication or taking naps during the day may help ease the stress of sleep deprivation. Some stress reduction techniques can be taught and are somewhat different from other stress reducing techniques. Your son may need to remove himself physically from the situation causing the anxiety. A quiet environment, free from distractions and where rules are followed rigidly can do much to help him concentrate. Carrying a favored object can also give your son a sense of security. The nature of this object can seem quite bizarre to others (e.g., a "cat's eye" marble from the road), but without it, your son may be unable to settle or concentrate. Some HFA kids derive comfort from repeating a set ritual of some kind that can be long and complex. It goes without saying that the ritual, however time-consuming, may have to be carried out in classroom situations, and the comfort object must be allowed to be present if the youngster is to be able to cope with the stressors. When your son is upset, he is either wanting (a) immediate pleasure or (b) to avoid emotional pain. Upset feelings occur when the HFA youngster gets frustrated and has an unwillingness - or inability - to tolerate the necessary short-term discomfort that is sometimes required for long-term gain. The opposite of this would be self-control, which is simply the ability to tolerate or cope with discomfort and hard work in the short-term in order to achieve one's long-term goals. Thus, teaching self-control methods to your son would be the ideal "fix" for his chronically feeling upset. Should You Pull Your Child Out of Public School - and Homeschool Instead? "I've been thinking about home schooling my 6-year-old (high functioning autistic) son. Are there any critical issues I should examine before making this move? I'm undecided at this point and want to make the right decision." When faced with questions about how to educate your child, the challenges become all that much more difficult if he has High-Functioning Autism (HFA) or Asperger's. Home schooling is an option for many children, and it could be the best educational choice for a child on the autism spectrum. The first decision to make is whether or not the family has the resources of time necessary to home school the "special needs" student. Special learning techniques may need to be learned, and parents who home school need lots of patience and a level head. It may be interesting to try your child out at a private schooling situation before deciding on home schooling. Some HFA kids fit fairly well into the classroom, while others are quickly labeled “freaks” and are shunned by their classmates. Teachers of regular classrooms may not have the time or energy to deal with the intricacies of teaching an HFA student and, by observing what’s happening in the classroom, a parent may find that home schooling is one of the few viable options. Some challenges of home schooling include dealing with a child that is a visual learner who might not learn as well by listening. Some HFA kids become so obsessed about having everything perfect that they will throw away papers that have mistakes on them. Some kids on the spectrum often have very narrow focuses of interest so that the parent-teacher needs to find ways to tie in other subjects or to teach other subjects in a way that is interesting to the child. There are always critics who argue that home schooled children lack the necessary social skills that children who go to a regular school get on a daily basis. With HFA children, social skills must often be taught in a structured setting, and parents have the opportunity to do this and to explore putting their child on a sports team or other social organization (e.g., band or music programs), which will give them social skills without overwhelming them. Are you ready for the critics (home-schooling skeptics still exist)? Can you afford it (the decision to home-school often results in limited income potential for the primary home-schooling parent)? Do you have the disciplinary techniques to home-school? How does your spouse feel about home-schooling (if only one of the parents believes in home-schooling, it can be very difficult to home-school on a long-term basis without support from the child’s other parent)? 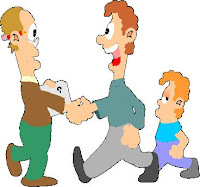 How will you arrange to meet your child’s socialization needs? Does your child have opportunities to learn with other kids in the neighborhood and church? Are there opportunities in your area for scouting, sports, and get-togethers with other home-schoolers? What are the home-schooling laws in your state (some states require the home-schooling parent to have a level of education)? Why do you want to home-school your child (you may find it helpful to write your reasons for home-schooling down, so that on the worst of days, you'll have something to look to for encouragement and motivation)? Carefully thinking through the above questions will help you determine whether or not home-schooling is right for you. 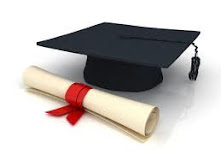 There is usually a state guideline for home-schooling. Some states require home-schoolers to take a standardized test. There is little time for you to “distress” (e.g., there is no such thing as "I'll be there in a minute” as you try to talk on the phone). Some home-schooled children are not required to work on a time frame (not a good idea with HFA kids since they crave structure). Just because you take your son out of the current school system does not mean that he is going to immediately change some of his undesirable traits. If you decide that your main reason for home-schooling is because your son presents a discipline problem for the teacher, don’t necessarily think that his attitude will change when you teach him. Home-schooling is not free and the government does not provide home-school vouchers. Your son's education can be tailored to his unique interests, pace, and learning style. Family life revolves around its own needs and priorities rather than the demands of school. Family values and beliefs are central to social, emotional and academic development. Home-schooled kids are largely free from peer-pressure. Home-schooling provides a high teacher-student ratio for the child. Students are allowed to mature at their own pace. Research shows that the two most important factors in the overall educational success are positive home influence and parental involvement – home-schooling provides both. In general, a parent who teaches to the innate interests of their child will not only be successful, but will have succeeded in giving their child a better education than they would get in a noisy chaotic classroom. It's High-Functioning Autism! How do you share the news? "My son was diagnosed with high functioning autism last week. I must say I am feeling a mixed bag of emotions here. How do I tell other family members and friends that my son has this - or is it better to not say anything?" First of all, there's nothing to be ashamed of here. 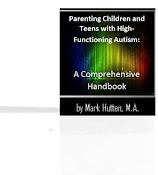 High-Functioning Autism (HFA) is not a disease or the result of bad parenting, rather it is a neurological disorder. You can't catch a disorder, but you can catch a disease. A disorder is inherited, whereas a disease can be caught by anyone who is not immune to it. More specifically, a disorder is an "abnormality of function." A disease is a definite "pathological process." HFA is certainly nothing to be afraid of. Would you feel as alarmed if your son had been diagnosed with Dyslexia (another neurological disorder)? Probably not. When parents hear the word "autism," a lot of frightening images (misconceptions) may pop-up in their head based on the limited knowledge they have at the time. Finding out that one’s child has been diagnosed with HFA or Asperger's can be distressing for some parents. Moms and dads may naturally feel guilty even though there isn’t anything yet known that could have prevented the disorder. Through all of this comes the need for telling others about the syndrome and how it affects the child. If you are faced with having to tell those around you that your child has an autism spectrum disorder, the first thing you want to do is understand and read about the condition so that you can answer questions appropriately and truly be an advocate for your child. You will want to start with those closest to you, beginning with the siblings. Telling your other children that their sibling has a "brain issue" that causes him to have problems talking with others, causes him to focus inordinately on certain subjects to the exclusion of others, and results in him performing ritual behaviors may be enough. The siblings have seen everything already and just need to know that there is a reason behind the behaviors. It can help siblings be less frustrated with their "special needs" brother or sister - and can also help them to become advocates for him or her. Having a name for what the siblings are seeing can help a great deal. After the family becomes accustomed to the diagnosis, it’s time to speak with the extended family. Encourage them to read what they can on the disorder, and help them connect the symptoms they see with a brain disorder that can’t be helped. If they know that much of the behavior is beyond the control of your son, family members can come to love him at the level they’re at. Certainly, teachers need to understand the diagnosis and how it is affecting your son. Plans need to be made to alter the educational style the teacher uses to help teach him in an effective manner. A frank discussion of the diagnosis should be followed with problem-solving methods that will help your son thrive as best he can in the educational world. Beyond family, educators, and perhaps daycare workers, you don’t necessarily need to tell the rest of the world, especially if others don’t see much of a problem in your son's behavior. What you do eventually say can be as simple as “my son has a brain disorder” or as complex as explaining the disorder to its fullest to interested friends or acquaintances. Certainly, the conversation needs to take place every year as new teachers come into the picture. The good news is that, in today’s times, HFA is more well known and more easily understandable than it once was. • Anonymous said... Definitely tell them. They will need your help to understand what is best for your son and you will need their support. Everyone in your son's life needs to be on board! • Anonymous said... Don't be afraid to tell. I was rejected and criticized by friends and family. But, it's my childs life that I need to worry about helping, not how people take my news. Best of luck. Be strong. • Anonymous said... Good luck ! In our case we have been treated poorly , talked about and misunderstood so often. • Anonymous said... I found that telling them was the best thing to do. At first they were hesitant, but they took time to research and learn about it and the difference in how they related to my son was HUGE. I no longer was looked at as the pushover when I dealt with him differently and their way of dealing with him changed as well. There are some great books out there for kids and adults that can help as well. I love All Cats Have Aspergers and her new book Inside Aspergers Looking Out is a great way of showing "typical people" how life looks to an Aspie. Robison's book Look Me in The Eye is also great for adults. Good luck on you journey! • Anonymous said... I have 2 amazing children with AS. This is something you should not have to hide being there is nothing wrong with your child. The main reason you need to tell family members, teachers, sitters, pediatrician/family doctor is so they can do extensive research. My children with AS react differently to certain situations then my other 2 children. They need to know what makes your Aspie child uncomfortable to avoid causing him or her to have a mental or emotional breakdown. The school needs to know especially if your child struggles in any subject. One of my children with AS has an IEP and sees an OT at school. If you need any help or advice feel free to message me. This can all be overwhelming at first but you will soon realize it gets easier. • Anonymous said... I have found with ourselves and a lot of my friends it is the husbands side that have the difficulty understanding the diagnosis. • Anonymous said... I think of it as a T account. School must know the official evaluation as does associations like cub scouts for health record reasons. Friends, family acquaintances as the situation arises. 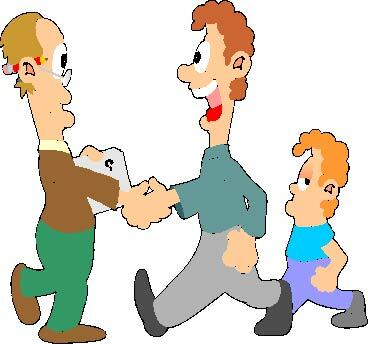 It does not get announced like introducing someone for the first time, but as interacting appears to have a struggle on one side as information as needed. This way each has a chance to not prejudge but then see for themselves where some things are easier then others, some struggles and that it is not defiance. He is an amazing speller, reader, ... The hardest thing is recognizing not understanding a situation, being overstimulated/overwhelmed, and not that a purposeful defiance is being done. He likes peanut butter and jelly for lunches because he knows what to expect, not that he is a picky eater. At that point it makes it easier for each side to want to avoid pushing the buttons that make uncomfortableness not find an excuse or blame. Then each finds each others amazing talents. • Anonymous said... My in laws had a hard time adjusting with my son. He didn't have the best table manners, he's messy and didn't make eye contact. To them at first it was just poor parenting or bad mannered. But once they knew what it was they began to do there own research and talk to others and see him in a different light. I don't ever let him use it as an excuse. But since he can't hide his behaviors we can't hide the diagnosis. • Anonymous said... My in laws have pushed my kids aside, ridiculed them called them alsorts of names and I wish I had never told them. My family have accepted that they are different and have little routines and ways of doing things and as my parents past away when I was a very young age, my Aunty who is my mothers sister has step in as a grandmother to my kids and she is proud of their achievements and comes to grandparents thing, where my mother in law won't have anything to do with grandparent activities at school. What see doesn't realize is dealing with 2 little bright boys, they have worked out Nana doesn't come to things and so now they no longer ask. My youngest asked her to something last year and in front of her my eldest said why ask Nana, you should ask Gran as Nana won't come and she just laughed, then later ripped into me over my eldest comments. Some people honestly don't understand these kids and other just don't want to understand. • Anonymous said... My son is 5 years old and he knows he has Aspergers we tell him it is his superpower and he can do anything he puts hard work into. My in laws are cluless, my parents try to understand. But basically it comes down to yourself and the people who live in the house that matter because those are the only people that live your life with you. I know its hard, i cry when we have hard days and feel stressed and out of my mind on other days, but then i get that little time that comes once in a while where he shows some happiness maybe relaxation and we are able to laugh and have fun for the moment. Enjoy what he enjoys bring his world into yours for both you. • Anonymous said... My son is high functioning and I have always known there was just this little something different but didn't know exactly what. My family gets frustrated with him and then frustrated with me for letting him act that way (before the dx). As soon as I got the dx and literature, I handed it out. I said this is my son, either accept him as he is or stay out of his life bc condemning him and me for his behavior is not acceptable. Harsh maybe but effective. It seems harder for people to accept the dx because he looks and acts just like every other child except in those moments when AS is very clear. My son understands it now, his teachers know, I told the Scout leaders and anyone else that needs to know. He's crazy smart, wonderful heart and a good all around kid. No shame here.....I just want people to understand his quirky social behavior is just that.....quirky and accept it. Good luck! • Anonymous said... Yes - tell. It shouldn't be a secret or something to be ashamed of. 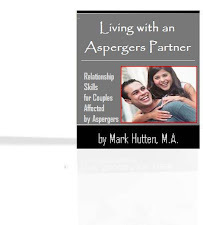 I started by having relatives read "can I tell you about aspergers?" • Anonymous said... You also need to be prepared to cut people off that refuse to accept the diagnosis. • Anonymous said... You should tell them but make it is know that you have them treat him no different than any other kid bu also explain to them what HA is. "My 5-year-old is obsessed with Legos. In fact, his entire bedroom looks like a Lego museum. People who go into his room are rather impressed with the massive structures he has created. But my question is, should I allow him to continue to collect these pieces? It is starting to become a bit overwhelming." Children with Aspergers (AS) and High-Functioning Autism (HFA) often must deal with obsessions and compulsive behavior. They may become fixated on a narrow subject, such as the weather, compulsive neatness, baseball statistics or other narrow interest. In fact, this is often a hallmark sign of the disorder. While most of the core issues with AS and HFA can’t be "cured," there are ways a family can cope with such issues and learn to overcome some of them. For example, kids on the autism spectrum can be explicitly taught better ways of communication with others, which will lessen their focus on the obsession or other solitary activities. Certain types of cognitive behavioral therapy can help as well. Finally, in severe cases, medications that control obsessive behavior can be tried to see if some of the obsessiveness reduces. 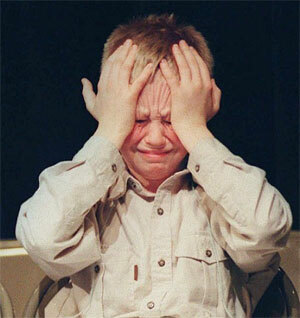 Families must, to some extent, learn to cope with compulsive behaviors on the part of their "special needs" child. It helps to learn as much as you can about the disorder and its nuances. Learn as much about your child as you can, and learn which things trigger inappropriate compulsive behavior so they can be avoided. Some compulsive behavior is completely benign and is easily tolerated by everyone involved. As a parent, you need to decide which kinds of behaviors should be just tolerated, and which need intervention. Allow others (e.g., therapists, teachers, doctors) to help your child with some of his behaviors. As a parent, you can be expected to do only so much, and others may have to be involved in helping you help your child. In some cases, it helps to turn your child’s obsession into a passion that can be integrated into his own extracurricular or school activities. A consuming interest in a given subject can help connect your child to schoolwork or social activities, depending on the obsession and the behavior. Only you, and perhaps your child’s doctors and teachers, can decide whether or not it’s appropriate to allow the child to fixate on a particular subject excessively. • Anonymous said... Absolutely yes. its great for hand and eye coordination. my son is slmost 21 and i still give him one every Christmas. • Anonymous said... And what a wonderful obsession it is!!! We have so many Legos/Bionicles if I ever sold them I think I would be rich!!! My boys are hitting the teen years and still get them out. My youngest daughter plays as well. I found these great storage bags called Swoop that spread out on the floor like a mat and then when your done you can tie it up and put them away!! Although not for masterpieces in progress!! • Anonymous said... Aspie's like to collect things. Let him display them. It's a great sense of accomplishment for him. I bet he gets excited when people compliment him on them! My 11 yr old Aspie still builds with them. He has a huge container full of pieces, but has built so many intricate ones that they are displayed on shelves in his room. Some have spilled over into my living room, so I just found more space in his room for them. I wish he was able to have a playroom where he could keep them. My son's main restricted interest is video games, so I love when he puts down the controller in favor of legos. Debi Conn is right.... eventually another restricted interest will take its place. • Anonymous said... Heh. My 7yo Aspie son's room in the same. He likes to pull them apart after a while and then rebuild new structures not ever thought of when the kits were put together. If it's not detrimental to his everyday functioning, where's the problem? Lego is EXCELLENT for developing fine motor control and learning important concepts: engineering/design principals, physics, creativity, planning. It's also something that they have total control over, which is important for all kids but especially kids on the spectrum. • Anonymous said... I don't know what the experts say, but we allow our daughter to have her "obsessions." For 2 years it was 100% Wonder Pets. Then for a year it was stickers. Now for the past year it's been Beanie Boos - her room is devoted. I don't see harm in it, as it brings her comfort when otherwise her sensory issues cause her grief. • Anonymous said... I would say yes as well. My 5 year old is obsessed with zoo's and animals. I love it when he takes me on a zoo tour after he has spent an hour setting up his room. He also likes video games, and they could become an obsession if I don't drastically reduce the amount of time he is allowed on it and make video games a reward. So, it is good your son is using his imagination and skills with Legos verses spending hours on video games. I think we need to love and embrace the beautiful aspects of AS is our children. • Anonymous said... I would say, yes keep letting him collect. We started my son at age 4 and he has a 10 gal green rubber made tub full to the top. He still is building. I feel to fuels their creativity. • Anonymous said... If you have limited funds, you can create a photo collection of your child's masterpieces. It's a way to preserve them so your child will be willing to re-use the lego pieces. • Anonymous said... Just a thought... I let my son continue with whatever he is "in to" at the time but try to introduce related tangents that he might like. I do this to broaden his world in a comfortable way for him. If your child loves legos and building things with them you could try to introduce the process of sketching out his building plans. That could lead into other types of drawing or art projects. The key is to help them grow and broaden their interests without taking away what they enjoy. Does that make sense? It has worked really well for us. 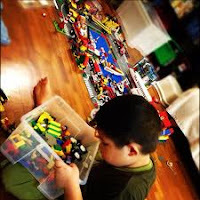 • Anonymous said... Legos never lose value so if he ever did move on you could sell them but Lego has a large adult following and people collect them my son has massive amounts as well we have 3 walls of bins sorted by color & body bins he enjoys sorting as much as building. My only rule is they have to stay out of the common areas of the house his room and basement I don't care about. • Anonymous said... Most definitely YES! This is one of the best activities to use when they are trying to play with other kids. Every kid likes Legos! It helps to bridge that "what do you want to do" gap! • Anonymous said... My 13 yr old has a room totally filled with Lego. His clothes and cupboard draws are stacked with amazing structures. He play occasionally now when stressed or really bored. But he still won't let go it. He puts his clothes in the bedside table draw. And wk t get new clothes as the Lego is more important. • Anonymous said... My 9 year old also has a Lego thing. And once he puts them together they stay together. His room is VERY overwhelming to me, but I believe he is seeking visual input. It is a great side of creativity as well. I say let him keep them. • Anonymous said... Our 11 yr old daughters obsession is Harry potter- we allow it all but work with her on socially acceptable levels around peers or family, for example- you can't wear the griffendor robe to school or not monopolizing the conversation about Harry. It's tough to teach balance but every kid has interests- it would be unfair to deny an interest to any child- just teach that there are social rules around it. • Anonymous said... Our son is 8yo and is an Aspie. He loves building with his lego but then shows little imagination as far as playing. So mostly his creations stay on his lego table once completed. This is one area we need to work on with him - imagination and play. ANY SUGGESTIONS WOULD BE HELPFUL. We try to use Lego to teach him things like following instructions, colors, and maths. I will refer to pieces as "two by four block " or "four by eight flat" and he must count the "dots" on the pieces, and tell us what the answer is. He has completed several larger lego with no assistance at all. We then Facebook a picture, which he also loves as our family and friends can be part of encouraging and rewarding him. He also loves the "Cars" movies, so we have found him Cars lego which has been great. I think lego is great for kids on the spectrum. • Anonymous said... Sounds just like my Dylan. His room is filled with lego. At times you cannot even see the floor. We too have put bins in his room to help keep things organized. When it gets too much I make him clean up. However the next day they are all over the place again. It is an ongoing struggle! Lego is his comfort so to remove it from his room would not be a good idea. So we just keep encouraging the constant clean up. • Anonymous said... Yes as we have found with my youngest his obsession Thomas and Lego Ninjargo. These have encouraged creativity and imagination not only with play, but with his story writing at school. They also have Thomas rewards stickers at school which are used for really good work and to encourage new tasks, he will try anything for a Thomas sticker. • Anonymous said... YES keep them. We go to lots of lego conventions and there are many adult Lego clubs. might be a good social thing for him as he gets older. Also, I have a 5-yr-old NT boy, and he has all his own lego obsession, paired with all his 16-yr-old aspie brother's legos. It IS overwhelming. LOL Just try not to step on them. • Anonymous said... Yes! My husband has a cousin who's been collecting Star Wars Lego sets for years... He doesn't have aspergers and he's in his late 30's and he still gets them for holidays! It's a hobby like any other thing! Aspies get labeled with the word obsession but I think it's a passion and we all have them! And indulging them is to encourage them! Maybe he'll become an engineer for Lego someday! That's a career creating Legos and its a real job listed on their website believe it or not! And the only thing he will remember when he older and happy with his work is that his wonderful parents encouraged his dreams! • Anonymous said... Yes, we put a line of shelves all the way around my sons room, along with other bookcases. Soon he will move onto another obsession all on his own. • Anonymous said... Yes. People with aspergers have a better ability to visualise things in three dimensions, they may well struggle to draw in 2D, but will excel at 3D. Really there are strengths and weaknesses to this, work on the strengths, and learn to identify and counter the weaknesses. 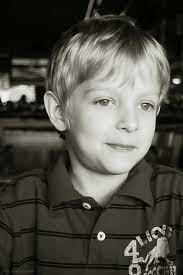 "My son (high functioning) really struggles making and keeping friends. Is there anything I can do to help him with this? He is content to play by himself for the most part, but I can tell he feels left out and would really enjoy have some playmates." When a "neurotypical" child (i.e., child without Aspergers or High-Functioning Autism) makes friends, parents are not often involved in the choice of the friend or the facilitation of the friendship. But, the parents of an child on the autism spectrum should be active participants in helping him make and keep solid friends. Part of the process involves concretely teaching the child how an "average" (for the lack of a better term) friend should act. Teaching him politeness, restraint in some situations, and how to talk and establish good eye contact with others will help this child learn skills that aren’t innate to his development. 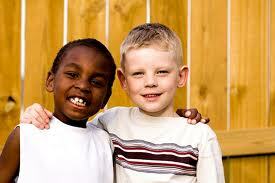 Finding a child to be your son’s friend in the school situation often takes careful planning and effort. It genuinely helps if you volunteer in the classroom and get to know the other students well. If you can find a receptive, relatively quiet child who would make a good friend for your son, ask the child’s parents if the two could play together. Bear in mind that rowdy or noisy children may be a source of distress to a child on the spectrum. If your child is one of the many who have specific interests or musical ability, make the effort to link him up through groups or clubs of children with similar interests. Often, having a similar interest as another child will help facilitate a relationship between the two. Even if your son doesn’t have a special interest, consider something structured, such as the boy scouts or a church group, from which friends can be found and maintained through regular contact. It’s probably not a good idea to invite a bunch of kids over for a sleepover. Rather, one child playing with your son at a time has the best chance of success. If the other child seems to have some maturity, explaining the condition of high-functioning autism to that child may help avoid the frustration some children feel around "special needs" kids. Your son may not be receptive to a friendship in all cases, and he may prefer to play alone. In that case, wait until you see signs of receptiveness before attempting to facilitate a friendship. 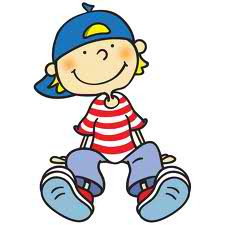 · Anonymous said... Also when you see him having some interaction with other kids, make a fuss of him, show him that what he is doing is good and this will also encourage him. · Anonymous said... Autism means our kids have gaps in their social and emotional development and ability to think flexibly (and therefore behave adaptively). There's no quick fix for this - it takes an NT child 5 - 10 years to learn all the complexities of friendship and thats kids without developmental gaps. We've used Relationship Development Intervention very successfully with my son to fill in some of those developmental gaps. He is now very connected to others. He still struggles with lots of things but he's much less egocentric and more able to step into the skin of what it means to be a friend. 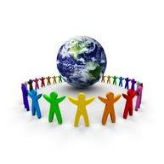 · Anonymous said... How ever hard it may seem you need to keep putting your son into this social situation. Im thinking he is still young? As when they get older it does get a bit easier. My son has come on leaps and bounds by continuously putting him in the situation. Learning the correct social skills is very difficult for kids on the spectrum and if we force them into the situation then there will come a point where their interaction will change for the better. · Anonymous said... 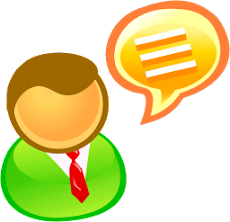 It helps to practice what to say in different social situations; especially at the start of conversations. Really breaking it up in concrete language, like "when someone says hi, say hi", "when someone says I want to play say ok". 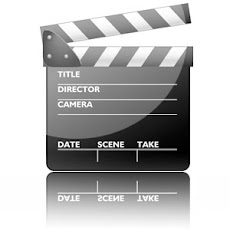 I like power point- you can use clip art to illustrate a little social story book of potential scenarios (like when someone is playing with you remember not to walk away). Also getting together with other kids who share his common interests helps too. This is what I've learned with mine anyway! • Anonymous said… I have this problem as well and it really worries me. My 7 year old son gets on with girls who are a lot younger than him but other than that he cant seem to keep friendships. • Anonymous said… I need help with my son on this to. I know there has to be more kids in the school system that's have the same problems but they refused to help me get a group together. I think that it would help them to know they are not alone in the world! • Anonymous said… I think so many Aspies are like this. I'm a military member so we move a lot and so do people around us, unfortunately. What I found useful is finding other Aspies and normal kids as well. You have to network. Other Aspies have the same problem so it works out for both kids. On top of that you already know the other parent goes through the same stuff. • Anonymous said… look up groups on yahoo, you might find something! Also, talk to a speech pathologist or a local OT, they would probably help you. Our old office let people put thongs in the office, maybe you can start a group yourself. • Anonymous said… mine is a loner too, but he likes the older boys next door. They are aware of his syndrom and even invite him out to play now, and it makes him so excited. My son also loves to bowl, so this summer we are putting him in a bowling legue for kids. Our thought is to make socializing a postive experience by associating it with something he loves to do anyway. Plus it is a much more controled enviroment, he won't have to deal with any teasing or other kids being mean. • Anonymous said… My oldest son had problems with friends in elem. school, but it got better in jr. & sr. high because there were more kids with his interests. Joining band really helped. "My high functioning daughter has to have everything in her room just so. If anything gets moved (for example, when I dust the furniture or change her bed sheets), she has a fit. She always knows if something is missing or has been moved to a different spot. 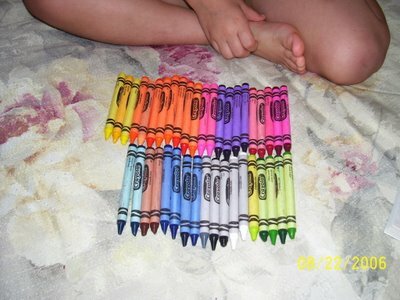 Is this part of her autism, or is it OCD, or both?" One of the hallmarks of High-Functioning Autism (HFA) and Asperger's is the development of obsessive thinking and the performing of ritual behaviors done to reduce stress and anxiety. This type of behavior can later meet the criteria in adulthood for obsessive-compulsive disorder. HFA children often have an obsessive interest in a particular subject -- and very little interest in much else. They may obsessively seek information about maps or clocks or some other topic. They may also be very inflexible in their habits and may rigidly adhere to certain routines or rituals. These obsessions and compulsions are believed to be biological in origin. This means that it is very difficult to go to therapy or just talk the individual out of the rituals. Even so, there is some evidence to suggest that cognitive-behavioral therapy may help control some of the behaviors and makes the child aware of ways to recognize when the behavior is occurring so as to stop it before it occurs. This kind of therapy, in general, can be helpful for children, teens and adults with HFA because it focuses on concrete behavioral and “thought” changes necessary to function on a day-to-day basis. Parents may need to simply be supportive of the child who so rigidly hangs onto rituals she doesn’t understand. Unless the child has done a lot of therapy, it takes a great deal of effort to fight the rituals, nor does it help to punish the child for them. There are medications, often used in obsessive compulsive disorder, that can take the edge off of the ritual behavior and obsessions, especially when used along with cognitive behavioral therapy. No medication is without side effects, and the improvement may not be complete; however, it is worth the effort to try the medication as recommended by your child’s doctor. • Anonymous said... OCD is definitely part of the Aspergers. Our Aspie is obsessive about her pencil sketches. She always has her sketchbook with her and no one is allowed to touch it. She will show them to us but SHE has to turn the pages. I shudder to think of what would happen if that book got damaged! • Anonymous said... Our daughter had OCD, sensory issues. Drove me crazy. Not until she was nine did all these issues get diagnosed into a aspergers diagnosis So, it's part of the aspergers. We also have social issues, tics, and a few more things. "My 5 y.o. son was recently diagnosed with high functioning autism. In light of this revelation, should I discipline him the same way I do my other kids, or should I make some adjustments based on his condition?" Kids with High-Functioning Autism (HFA) and Asperger’s have no greater permission to misbehave than your other kids. But, the way you gain control over your “typical” kids’ behavior will differ with an HFA youngster, mostly because of differences in how he thinks and how he perceives rewards and discipline. 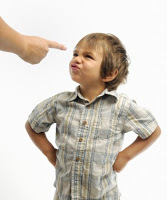 HFA kids do not respond well to negative reinforcement (e.g., threatening, scolding, etc.). Also, they don’t respond negatively to isolation, so the statement, “Go to your room!” may be seen as a reward instead of a consequence. Furthermore, spanking should never be used – not even as a last resort. Due to the way he thinks, your son probably won’t be able to tie the “misbehavior” to the “punishment,” leaving you back at square one. Therefore, you need to be more creative in defining which things will be viewed as rewards - and which things will be viewed as discipline. Focus on rewarding (reinforcing) positive behavior rather than simply punishing “bad” behavior. Positive rewards can include being able to play a preferred computer game, listening to preferred music, or watching a preferred television program. Rewarding your son in this way may be enough to alter his behavior accordingly. These specific privileges are often offered because HFA kids respond less to human contact - or even human praise – and more to the presence or absence of “things.” Rewards can be offered along with praise, but praise alone has little positive benefit and doesn’t improve self-esteem the same way it does for “typical” kids. Discipline should involve removing anything your son prefers (e.g., television, toys, computer games, movies, etc.). All discipline and rewards must come with very concrete explanations as to why they are given. Only then can he match the reward or consequence with the behavior he has engaged in - and only then can change occur. "I find it is critical that my son (9 yrs) have the chance to earn back his lost computer time. He usually is given the chance to do 'make ups' - to help me with a chore I would usually do or give me comfort in or whomever he has wronged. We negotiate these things depending. This week - he freaked out that the shirt he likes to wear to church each week was dirty, and he yelled at his dad for 20 minutes - so he picked up 50 sticks in the yard. He had a meltdown in public with me - so he had to play an anger management game with me or empty the dishwasher. 'Make ups' have to be approved by the offended. If we're fighting over homework and he's had a punishment given - it might simply be that he finishes the rest of the work without any more arguing and foregoes a break or agrees to work ahead on something." "Now that my son with high functioning autism has become a teenager, are there things that I should be doing now to prepare him for adulthood?" The teen years can be difficult whether or not your child has High-Functioning Autism (HFA) or Asperger's (AS). In situations where he does, however, there are special challenges that differ depending on the child. Some parents find themselves dealing with a teenager who is a loner, who has few friends, and focuses on one or more hobbies or preoccupations. This type of child is independent in some ways, but lacks the maturity to truly be independent in life. A teen like this needs to be pushed in the direction of finding friends and developing relationships. He or she may also need to learn some of the specific things necessary for “life independence,” like how to deal with money, cleaning up after oneself, doing the laundry and other life skills that will be needed once the teen is ready to leave home. Interpersonal skills, including how to talk to service people, shop assistants, and other people he may meet along the way, should be taught and practiced as concretely as possible. Other parents are dealing with the ongoing presence of rituals and obsessions that might interfere with the teen’s eventual independence. Psychotherapy might work in this kind of situation, but there are also medications designed to control ritual behavior. Getting this under control as a teenager will go a long way in enhancing the teen’s adult experience as she grows older. Adolescence is a time when depression can develop in teens, especially in those who know they don’t fit in and suffer from resultant poor self-esteem. Be aware of the signs of depression, and be proactive through the use of psychotherapy or medications to control some of these symptoms. This means, as a parent, you need to be aware of excessive isolation, “dark” language, outbursts of anger, or self-mutilation. 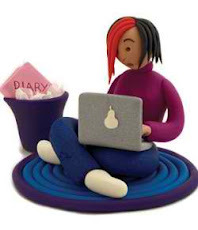 Help is available and can assist the teen resolve some of the conflicts unique to adolescence and having HFA or AS. "We seem to be having ever increasing difficulty with our 13-year-old daughter (high functioning). 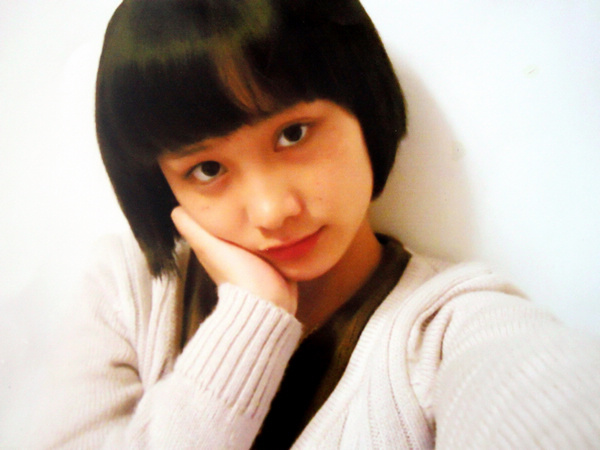 We began to notice a change for the worse around the time she reached puberty. Her anger and anxiety have reached a new level. She also seems very very depressed much of the time. Is this normal for a teen with this disorder? What can we do to slow down what I see as a train wreck in the making?" Puberty brings with it challenges for all children, however, children with High-Functioning Autism (HFA) and Asperger's (AS) face increased challenges through puberty. The behavior issues of impulsivity can increase in both frequency and intensity. Kids with HFA who experienced bullying in elementary school - and now continue to experience bullying during their middle school years - may become increasingly aggressive. Adolescence can become a very difficult time for a child with HFA as peers may no longer be willing to tolerate someone who seems different. Moodiness, depression and anxiety can also develop in adolescence due to hormonal imbalances, resulting in increased separation of the "special needs" teen from his/her peers. Adolescence is a time when social demands become more complex, and it becomes increasingly important to be able to understand social cues. Children with HFA can be more vulnerable to (a) manipulation by others and (b) peer pressure. They are likely to experience more rejection among their peers. With young people on the autism spectrum, interaction with peers usually creates more anxiety than interaction with younger or older people. Do any particular situations seem to trigger defiant behavior in your daughter? Has your daughter been diagnosed with any other medical conditions? Have your daughter's teachers reported similar symptoms? How do you typically discipline your daughter? How have you been handling your daughter's disruptive behavior? How often has she refused to follow through with your rules or requests? How often over the last six months has your daughter argued with you or her teachers? How often over the last six months has your daughter been angry or lost her temper? How often over the last six months has your daughter been vindictive, or blamed others for her own mistakes? How often over the last six months has your daughter been touchy or easily annoyed? How would you describe your daughter's home and family life? What are your daughter's symptoms? 1. If you're depressed or anxious, that could lead to disengagement from your daughter, which can trigger or worsen her behavior. Let go of things that you or your daughter did in the past. Start each day with a fresh outlook and a clean slate. Learn ways to calm yourself, and take time for yourself. 2. Set up a routine. Develop a consistent daily schedule for your daughter. Asking your daughter to help develop that routine can be helpful. 3. Remind yourself that your daughter’s behavior is most likely a temporary inconvenience rather than a permanent catastrophe. 4. Recognize and praise your daughter's positive behaviors. Be as specific as possible (e.g., "I really liked the way you helped pick up your room tonight"). 5. Pick your battles carefully. Avoid power struggles. Almost everything can turn into a power struggle — if you let it. 6. Model the behavior you want your daughter to exhibit. 7. Develop a united front. Work with your spouse to ensure consistent and appropriate discipline procedures. 8. Build in time together. Develop a consistent weekly schedule that involves you and daughter being together. 9. Assign your daughter a household chore that's essential and that won't get done unless she does it. Initially, it's important to set your daughter up for success with tasks that are relatively easy to achieve, then gradually blend in more important and challenging expectations. 10. At first, your daughter is not likely to be cooperative or appreciate your changed response to her behavior. Setbacks and relapses are normal, so be prepared with a plan to manage those occasions. Behavior often temporarily worsens when new limits and expectations are set. But, with persistence and consistency, the initial hard work will pay off with improved behavior. Also, as she passes though the storms of adolescence, things are likely to improve by default. • Anonymous said... Alpha-Stim AID for anxiety. And, it gets better once adult. • Anonymous said... Encouraging articles. • Anonymous said... I'm having the same problem with my son. He is on a low dose antidepressant and it made such a difference. My happy boy is back. • Anonymous said... I've been going through that with my 13 y/o Aspie, too. Wicked anxiety and depression. It really started at about 10 or 11 and peaked for us this year. Luckily, between therapy and regular talks, we're in a better place now. I try not to rush her or stress her out. Her daily routines help calm her so we do our best not to interfere with them. • Anonymous said... Jed Baker gave the best explanation of one of the reasons why this happens, they become aware of all the drs, meds, therapies, spec schools etc, that they feel they are broken and unfixable. This happened to my son too. Meds and therapy helped, but Jed Baker also adds that we must increase our praise to help them during these years. I can honestly say doing this has helped our son. Good Luck! • Anonymous said... Medication. Risperdal and depakote work great but cause weight gain. • Anonymous said... my son is 16 and is a nightmare with moods, temper, despite what we do as parents its not enough. he wont chat.! • Anonymous said... Totally! Normal! My guys meltdowns increased & aggression. I stuck to my guns with him and haven't used Meds. I've used humour, timeouts & rewards. It's hard but he's trying very hard! • Anonymous said... We are in the SAME boat over here!!! • Anonymous said... Yes yes yes!!! Totally normal...unfortunately! We got my daughter back into counseling and had a medication change also. Good luck . • Anonymous said… She's probably having trouble making/keeping friends and is likely being bullied. This is the age where they become acutely aware that they are different from others. Does she have any hobbies? I would strongly suggest getting her involved with a group of kids with similar interests, social skills groups, etc. • Anonymous said… My daughter is only 10, going through puberty and anxiety is at an all time high! • Anonymous said… My daughter is 6 (almost 7) and is showing physical signs of puberty (breast development and armpit hair - along with the odor). She has become increasingly non-compliant in school and becoming more aggressive towards her teachers... At home she's almost a perfect little angel. Of course we have a very strict schedule/routine at home and any change in it has to be explained thoroughly before we get compliance. • Anonymous said… I'm 26 and autistic and still can't deal with puberty. It's extremely hard to explain. I just can't accept the physical change in myself or friends I knew before/during it. It's just too different seeing them with facial hair etc. I find it very crippling that my mind makes these natural things so hard to deal with even when they've happened a long time ago. "Any tips for a mom who has to constantly explain to the children who DON'T have autism (high functioning) how to get along with their brother who DOES? Help!" In most cases, High-Functioning Autism (HFA) or Asperger's is a condition in families where both parents and siblings must learn to adapt and understand the condition at the level they are able. While moms and dads are learning to cope themselves, it is often difficult to see that there are other children involved—children who may be suffering themselves from the confusion of understanding the nature of the disorder in their family. As a parent, it’s important to understand that kids learn things at different rates and in different ways than adults. They have questions about how to understand the behavior of their sibling that need as much attention as the HFA child needs. As the family grows, more questions will arise, and all of the children in the family need to learn the best ways to adapt to the behaviors of the child on the autism spectrum. How HFA gets explained to siblings depends upon the age of the sibling and on the particular problems the affected child is having. For some kids, they just need to know that their brother or sister has a brain condition that leads him/her to resist change or to become fixated on certain things. Other children have the maturity to understand the nuances of how difficult it is for the "special needs" child to understand the emotions of others and to communicate non-verbally with others. 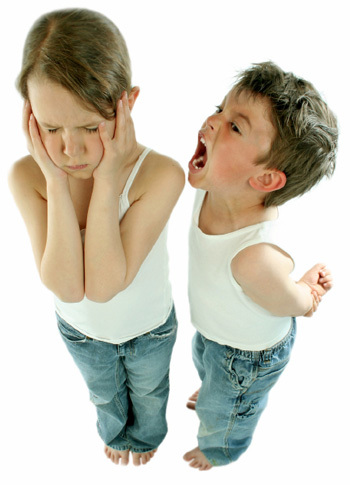 Some siblings can act-out angrily as "the child who isn’t getting the family’s attention." Others find themselves being their “brother’s keeper,” fending-off comments and teasing from other kids who see their HFA brother or sister as a freak. A sort of unnecessary maturity is forced on the sibling to be the protector or go-between when it comes to other children and their autistic sibling. As a mother or father, it’s important to keep the lines of communication open in discussing the problems that may come up or the ways everyone can cope with the disorder in the family. Family therapy helps in some cases and should be an option for all families dealing with sibling issues related to HFA. • Anonymous said... I DESPERATELY NEED HELP in this area too! • Anonymous said... i know its repetitive but just keep telling them no matteer how many tyms. it will eventually sink in. the non aspies get frustrated also. • Anonymous said... I say to my 'other' son that we have to practice patience. But my aspie son does not have too many different rules, he is treated the same as the others. He must learn the rules or not play. He receives the same punishments. The difference is upfront consequences, they need the outcome to logically understand why. • Anonymous said… I highly recommend sending the other kids to a Sibshop. It has helped my daughter a lot, and she is more confortable talking about her feeling regarding her brother. There are a bunch of good kid books on Amazon to help kids understand. • Anonymous said… Is simply told my other son that the one has autism. Try getting that Holly Robinson Peete book, it explains it well to other siblings. • Anonymous said… My aspie has two younger twin sisters. It took several attempts but after breaking it down to them and explaining to them that their brother processes information differently and went into detail ( on their age level) about what that meant. They have finally begin to understand what that means and have started getting along better. I guess it all boils down to education about Aspergers. • Anonymous said… My older two care less about the AS diagnosis. ..they think their brother should be like them period ..it is really hard to explain to a 19 and 17 year old about something they don't believe in...they feel like I am being unfair.